I have not really ever been a big fan of the Star Trek franchise. I have seen some of the earlier movies and an assortment of episodes from a few of the television shows. For one reason or another, I just could not get into Star Trek. 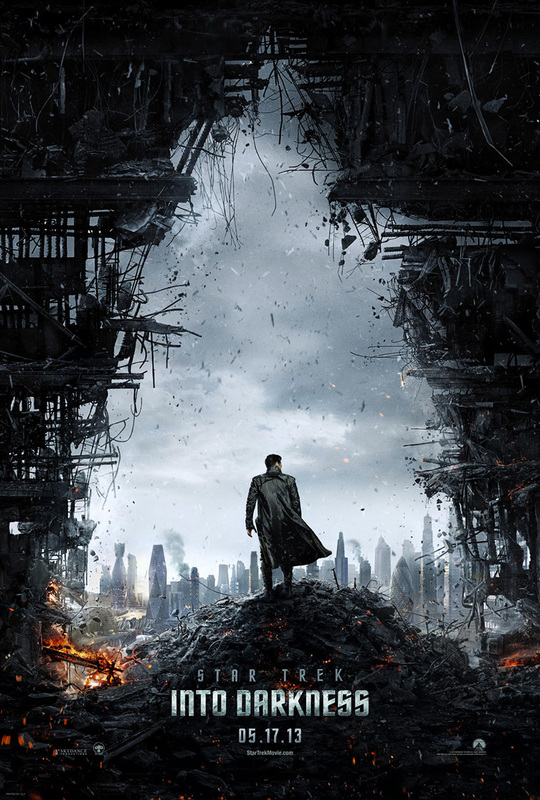 Star Trek Into Darkness appeared like it was going to be different than the previous movies. 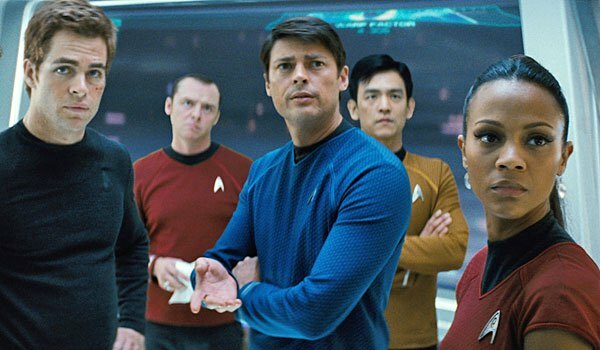 This new movie looked intriguing and it made me decide to give Star Trek another chance. 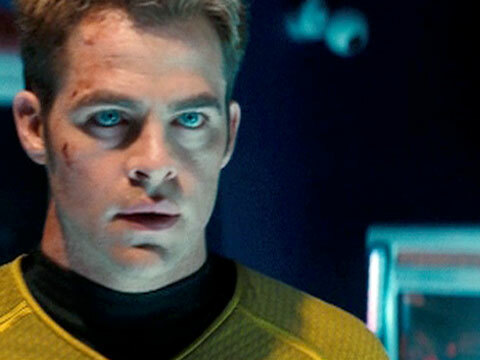 Star Trek Into Darkness follows the crew of the Enterprise lead by Captain Kirk (Chris Pine). He is tasked with tracking down a man responsible for attacking their organization. I saw the film in 3D and the special effects were wonderful. It’s the best 3D movie that I have ever seen. Technology has sure come a long way. This was one film that I think is completely worth the extra cost to see in 3D. Many parts of previous Star Trek movies have seemed a little too corny at times. They all have had a lot of cool ideas mixed with some cheesy dialogue. There has also been some great technology and some things that have seemed so far out that they come off as tacky. 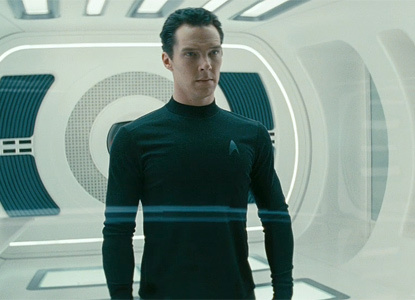 In Star Trek Into Darkness, they seem to have gotten all of the tweaks out. 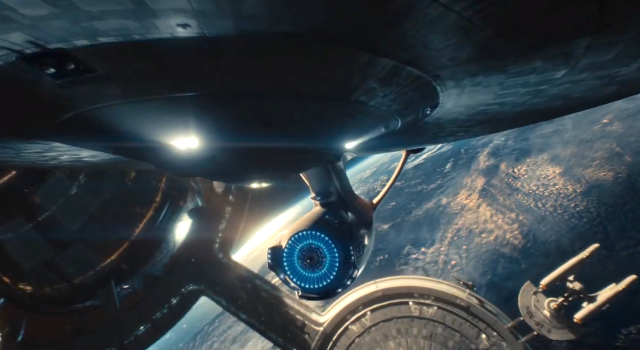 I felt that the filmmakers did an excellent job of updating the entire concept of Star Trek. They successfully made it more appealing to a wider audience. I am living proof of that because they got me to go out and see it, when I wasn’t going to let that happen before. 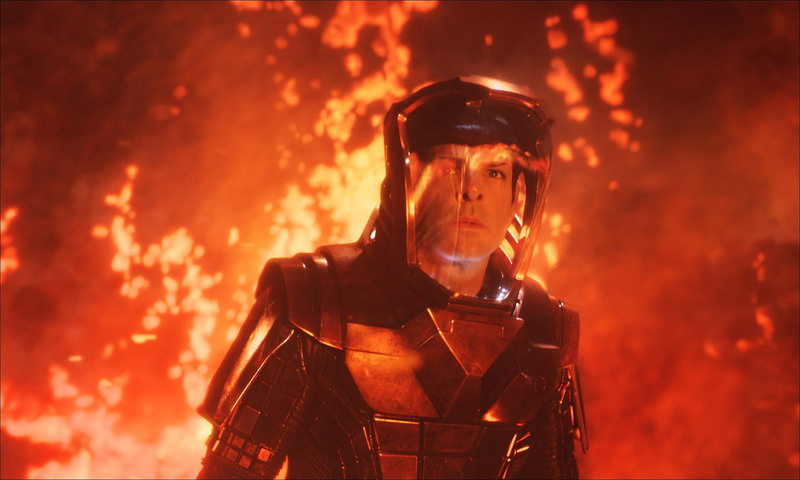 The movie is directed by J.J. Abrams and has a very solid cast that includes Chris Pine, Zachary Quinto, Benedict Cumberbatch, Zoe Saldana, Karl Urban, Bruce Greenwood, Simon Pegg, Peter Weller, Alice Eve, Anton Yelchin, and John Cho. The film was exciting. The computer graphics, special effects, etc., etc. were all amazing and made everything a bit more believable, considering the subject matter. The dialogue was well-written and didn’t get cheesy this time around. There was a bit of humor thrown in throughout the whole film to help make it more entertaining. The characters were well-rounded and the story kept my attention. 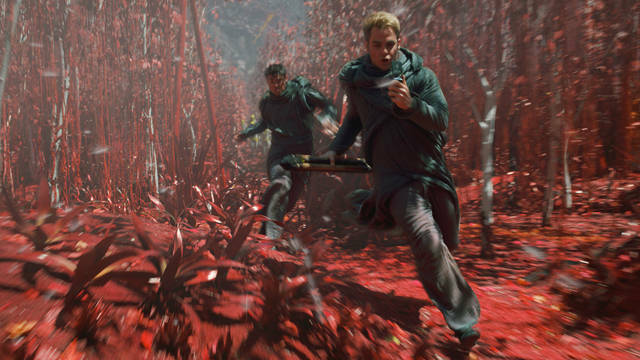 Overall, in my opinion, Star Trek Into Darkness is the best Star Trek movie that I have seen and likely better than the few that I haven’t seen. Do yourself a favor and see it in 3D to make your movie watching experience even better. Star Trek Into Darkness got me into Star Trek. I might just have to go back and watch Star Trek (2009) and we’ll see where that takes me. Posted on May 18, 2013, in Action Movie Reviews, Science Fiction Movie Reviews and tagged Alice Eve, Anton Yelchin, Benedict Cumberbatch, Bruce Greenwood, Chris Pine, John Cho, Karl Urban, movie, Peter Weller, Simon Pegg, Star Trek, Star Trek (2009), Star Trek into Darkness (2013), Zachary Quinto, Zoe Saldana. Bookmark the permalink. 4 Comments. Great review Brock! I loved it and you’re right about the 3-D. Well worth the extra money. Thanks Alex! It was all way better than I anticipated. Im a big Star Trek fan, but this was definitely one of the best. Thank you Rob. I’m glad you enjoyed it. That was one movie that I’m glad I gave a chance.